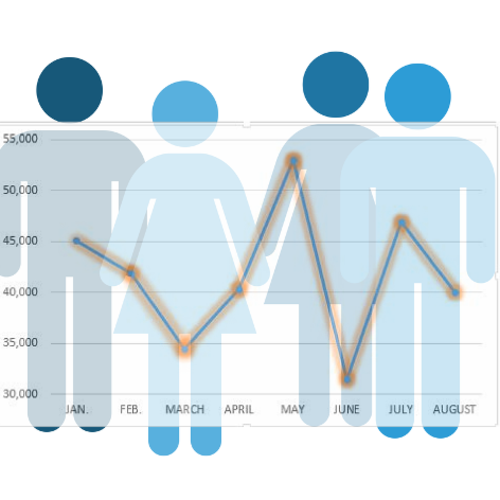 2014 August Job Cut Report: US Companies Announce 40,010 Cuts | Challenger, Gray & Christmas, Inc. Planned job cuts announced by US-based employers totaled 40,010 in August, a 15 percent decline from the 46,887 planned layoffs reported in July, according to the report released Thursday by global outplacement consultancy Challenger, Gray & Christmas, Inc. The August total was 21 percent lower than the same month a year ago, when 50,462 job cuts were announced. This marks just the fourth time this year that the monthly total was lower than the comparable period a year ago. Despite this trend, job cuts for the year are down slightly from 2013. Through August 31, planned job cuts total 332,931, which is 4.0 percent fewer than the 347,095 cuts announced between January and August of last year. August job cuts were heaviest in the tech sector, where electronics firm Cisco Systems announced plans to reduce its payroll by 6,000 jobs following weak quarterly sales numbers. It joins fellow tech-sector giants Microsoft, Hewlett-Packard, and Intel in announcing large downsizing initiatives this year. To date, employers in the technology sector, including computer, telecommunications, and electronics firms have announced 80,088 job cuts in 2014. That is 41 percent more than the 56,918 tech-sector job cuts announced in all of 2013. Computer firms have experienced the heaviest downsizing so far this year, announcing a total of 48,928 job cuts, to date. That is 87 percent more than the 26,180 job cut announced by this industry through August 2013. Electronics firms, such as Cisco Systems, have seen the largest increase in year-over-year job cuts. The 16,406 job cuts announced by these firms to date ranks ninth among all industries. However, that total represents a 170 percent increase from the 6,078 job cuts announced during the same period in 2013. Meanwhile, retailers have the second highest number of job cuts this year, but downsizing in the industry has slowed from a year ago. Retail employers have announced plans to shed 30,109 workers so far this year, which is 15 percent fewer than the 35,567 planned layoffs recorded by this point in 2013. “Like retail, the majority of industries have seen job cuts decline in 2014. For many of the industries where job cuts are on the rise, economic weakness is not the driving factor. Instead, the cuts appear to be motivated by fundamental changes in the industry,” John A. Challenger, chief executive officer of Challenger, Gray & Christmas. “Electronics, computer, telecommunications, transportation, and entertainment are all areas that should be flourishing right now. And, in many cases, firms in these industries are doing well. The cuts we are seeing, are coming from companies that did not keep up with the rapidly changing trends that are constantly redefining what products and services are in demand. Now, they are playing catch-up, laying off workers in some areas, hiring in others, and simply cutting layers of management in order to become more nimble and better prepared to meet the next trend shift,” he added.